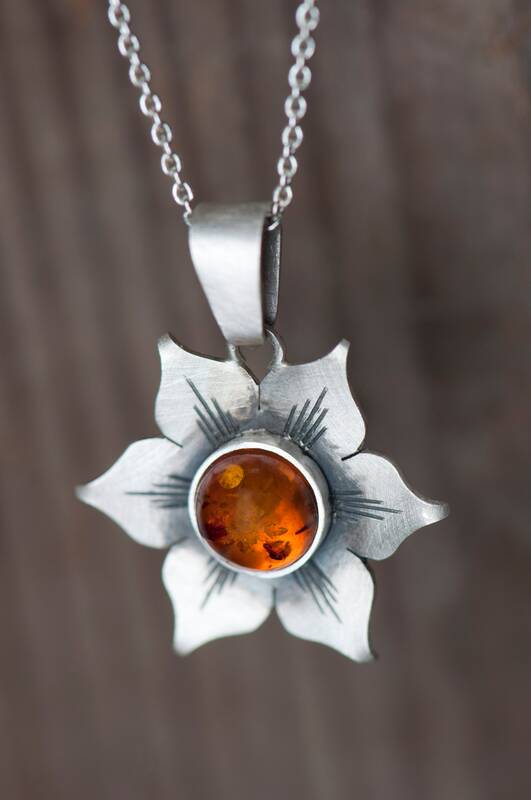 If you're looking for a boho amber necklace for a girl or a woman, I'm glad you're here because I may have something for you :) Baltic amber is a natural stone that looks beautiful in both simple and ornamental settings. 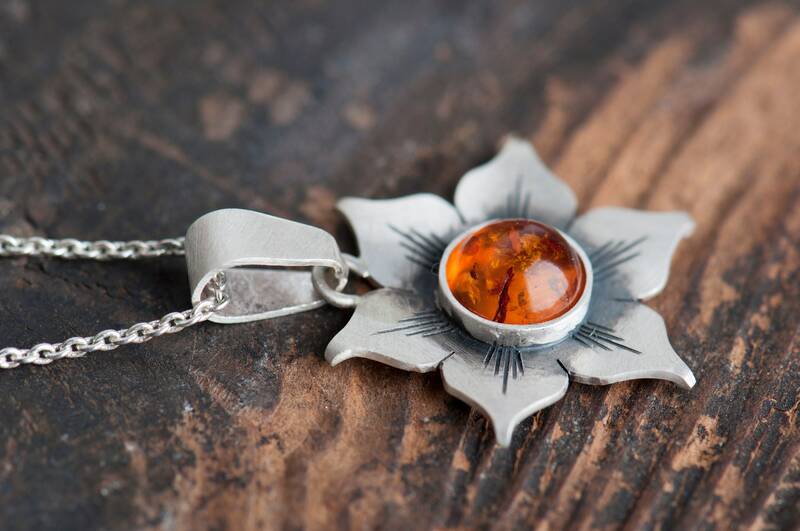 I intended this pendant to be something in between - I want it to be an everyday accessory which will be easy to notice and in the same time a distinctive accent on a women's dress. 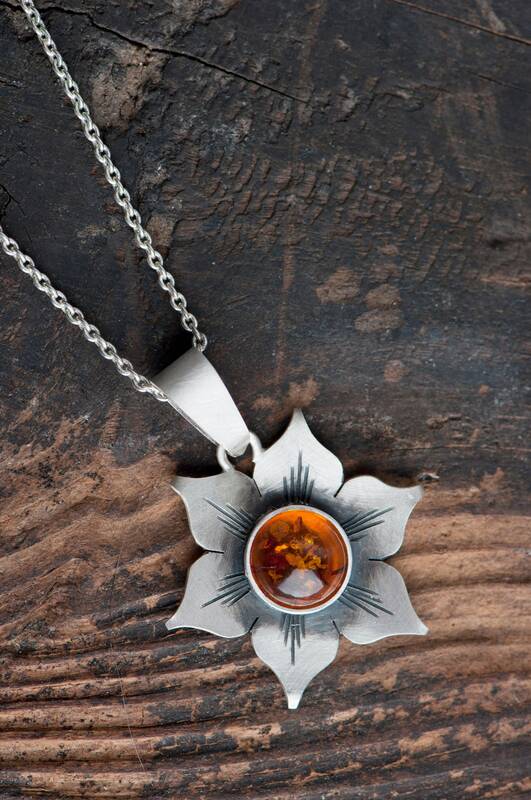 This amber pendant fits girls and women who like boho style. It can be a great present on many occasion and will bring joy to every person who adores nature and the beauty of the World. 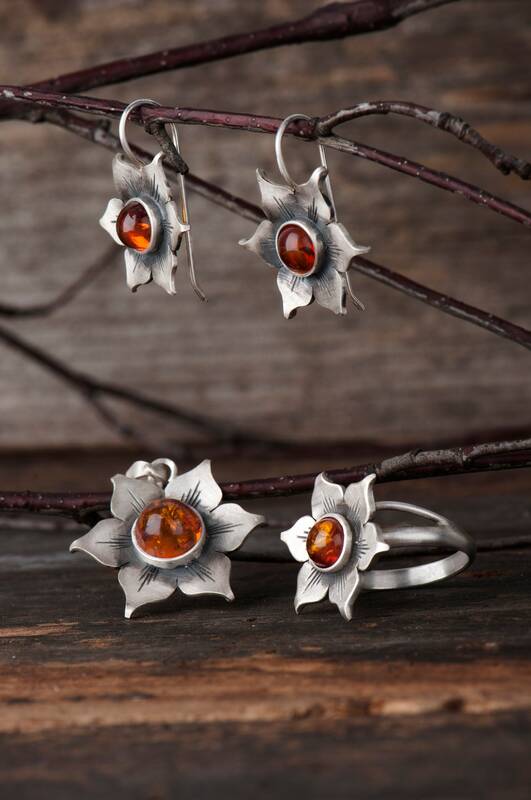 This amber pendant is a part of a set and in my shop you can find matching ring and earrings (links below). 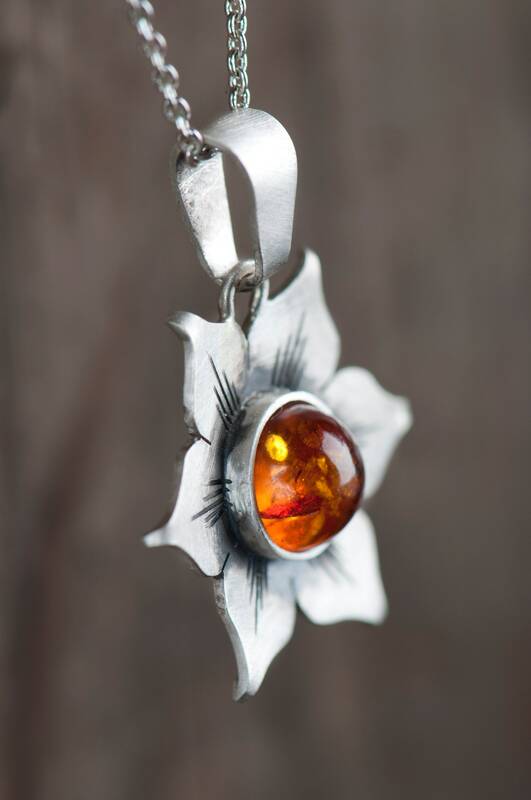 If you'd like, you can have your pendant with a chain. 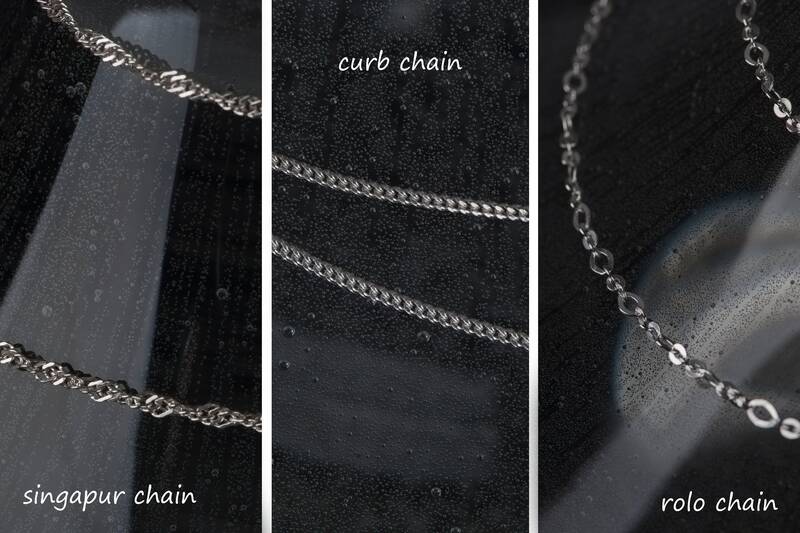 The available chains can be seen on one of the attached photos. 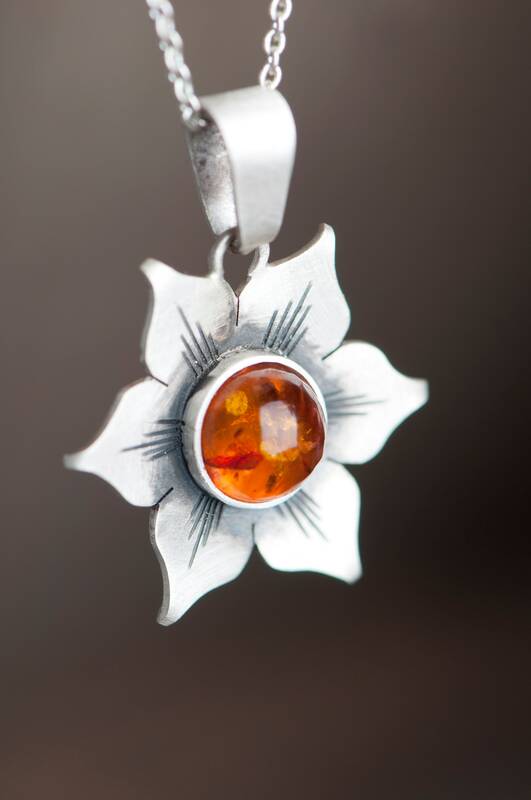 I chose Baltic amber for this floral pendant, but I can also set another natural stone. Just let me know what you are looking for and we will find a perfect solution together. I have many stones in my workshop and it's not a problem for me to order any other stone - just let me know and I will do my best to meet your expectations. 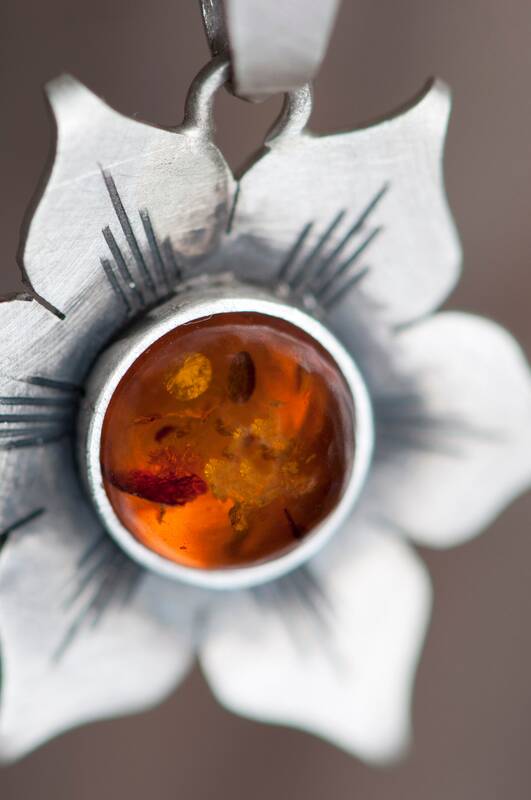 This amber pendant is handmade, so it takes some time to finish it - I need up to 7 days before it's ready. 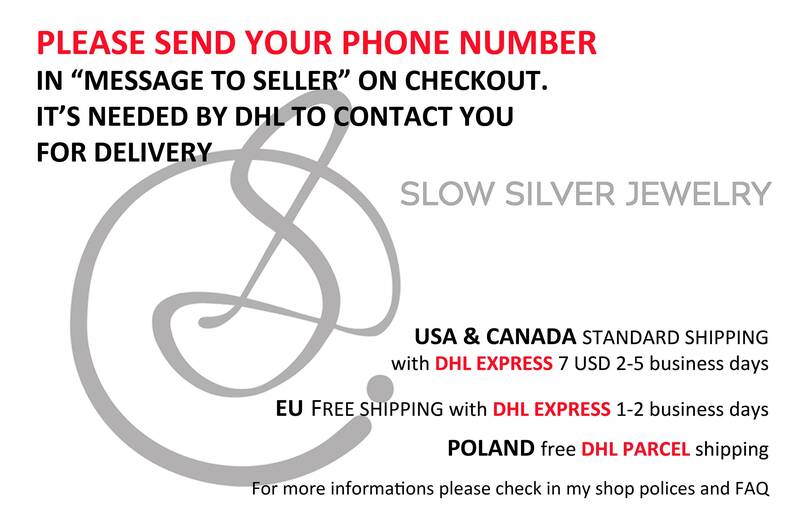 If you intend it as a gift a can ship the necklace to the third party and include a gift card with personal message from you. 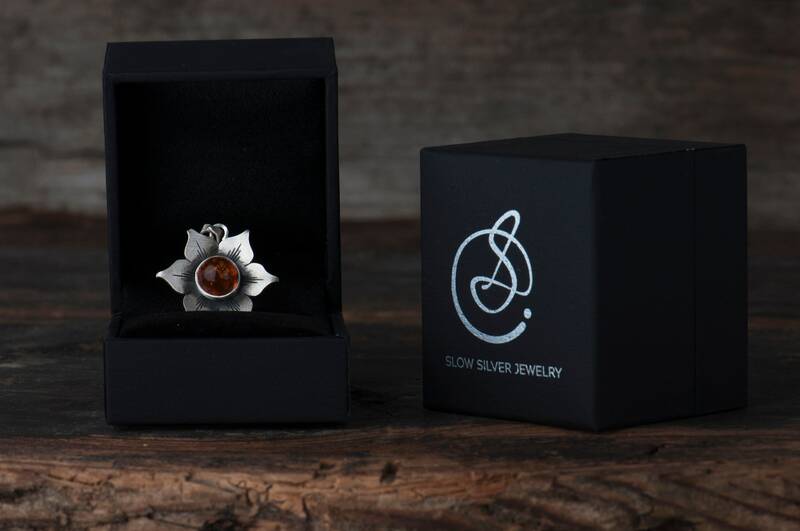 It will arrive in an elegant jewelry box which is also great as a gift box. Please keep in mind that this pendant is handmade and I use a natural stone so no two stones and pendants will look exactly the same.